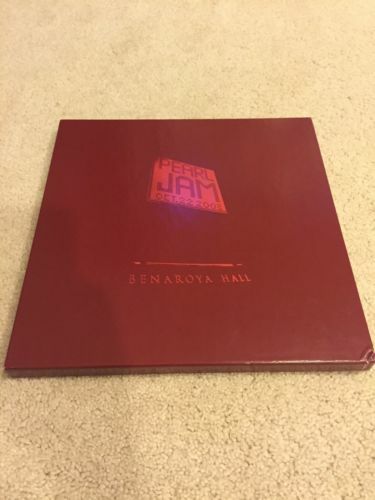 Pearl Jam Benaroya Hall vinyl set. Very rare. #0770/2000. The vinyl itself is in absolute mint condition. The only imperfections are what is posted in the pics. This is truly a fantastic set. Will ship in original Ten Club mailer that I received it in.Due to the cost of shipping and insurance, I will not be shipping outside the USA. Thanks for looking.